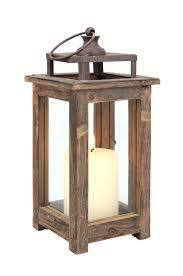 The Wooden Lanterns that we deal with as exporters from Moradabad, Uttar Pradesh, are extensively used as home dcor items in various households, resorts, hotels, offices, etc. The designing of our item is very innovative as it has all the possible controls for regulating its brightness, contrast, etc. Such a technologically advanced product is in high demand, and our product is available in varied technical specifications.